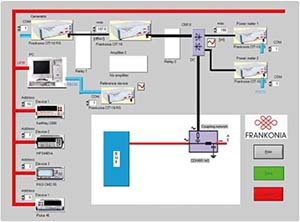 The CR-LAB software consists of three components (RF/CD/BCI-LAB) and controls test systems for radiated, conducted or BCI immunity measurements. 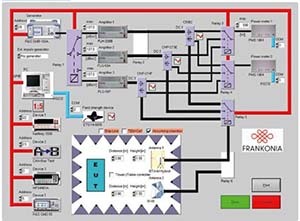 The system configuration is done in a graphical setup. 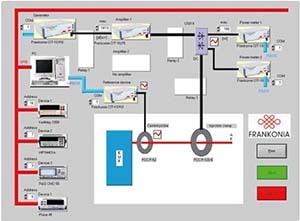 Tests can be performed manually with optical monitoring of the EUT or fully-automatic by up to 4 measuring instruments. Calibration data and test results are presented in professional reports, which contain all necessary data. For radiated immunity measurements, calibration data can be calculated from the field uniformity measurements or measured calibration runs. For BCI immunity measurements calibration can be performed using online control method or calibrated clamp method. Each version of our software is a separate version and includes special features according to application.